The Balkan Peninsula is a splendid area with many beautiful sights to see, so the highlights of the Adriatic Coast listed below, might make you wanna choose to visit this region for your next escape. 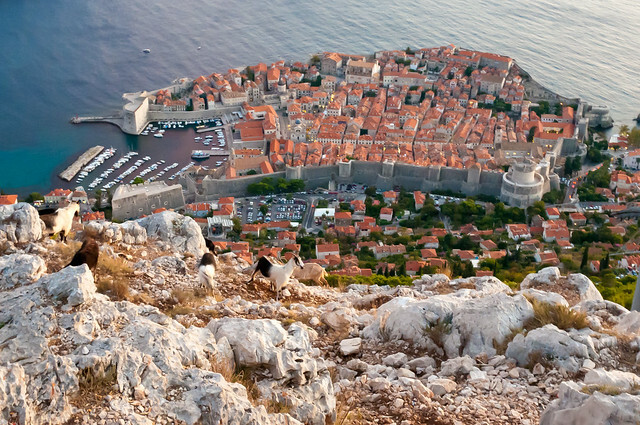 Due to its rich cultural heritage and considerable beauty, the “Old City of Dubrovnik” is a UNESCO World Heritage Site. The city walls are a major tourist attraction and are open to visitors throughout the year. Although it can take a couple of hours to walk around the walls, the views over the terracotta rooftops below and across the sea are truly spectacular. The cable car also offers breathtaking views over the city, coastline and mountains. The Old Town is spectacularly beautiful with stunning architecture and interesting side streets with many shops and restaurants just waiting to be explored. 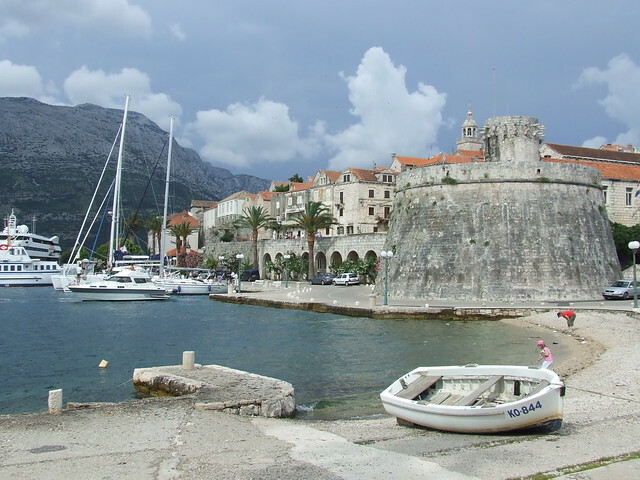 The island of Korcula is situated in the Dalmatian archipelago. The medieval Old Town is surrounded by a stone wall and has many historic sites including the Cathedral of St Mark, the Town Hall and the city fortifications. This is a charming place to explore the numerous palaces, monuments and narrow streets with many shops, bars and restaurants. The spectacular Moreska Sword Dance is performed weekly during the tourist season. The old port of Kotor is situated at the end of Kotor Bay, often referred to as Europe’s most southern fjord. 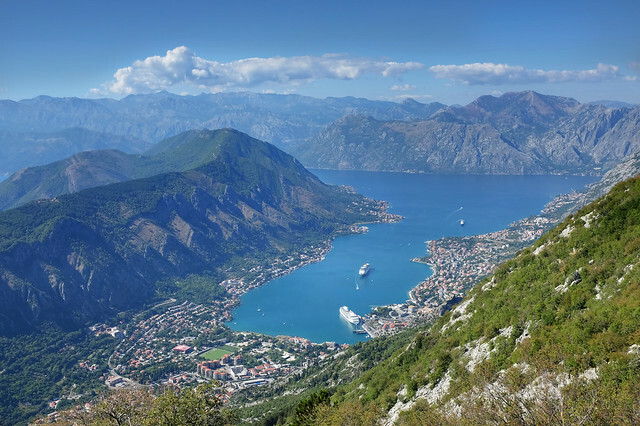 The scenery surrounding Kotor Bay is magnificent, and the scenic approach to Kotor by boat is both spectacular and memorable. With a backdrop of rugged mountains and pine trees and surrounded by impressive medieval walls, this beautiful town’s architecture has many Venetian influences. As you stroll around you will find intriguing historic buildings, interesting squares and narrow streets filled with shops and restaurants. 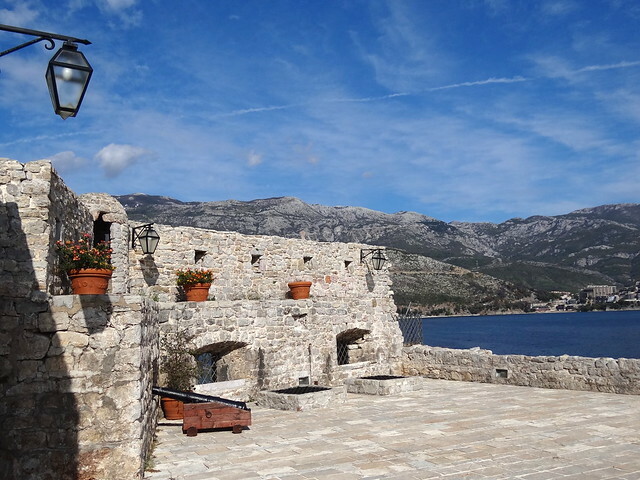 The “Natural and Culturo-Historical Region of Kotor” is a UNESCO World Heritage Site. The coastal area is known as the Budva Riviera and is the centre of Montenegrin tourism. The small but charming old town with its winding cobbled streets is interesting to explore. The Citadel, located within the walls of the old town, is the main historic attraction. Founded in the 5th century, “Venice and its Lagoon” is a UNESCO World Heritage Site. The city centre is a pedestrian area so it’s easy to walk around and take in the many famous sights. Wherever you go there are hidden passageways, intriguing shops, museums and galleries and an abundance of superb restaurants. 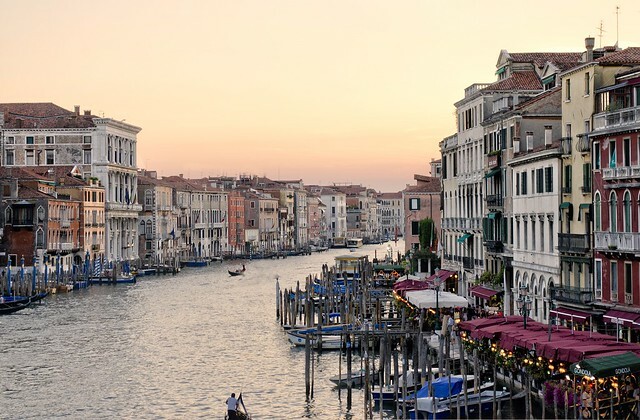 Venice highlights include St Mark’s Square and the beautiful St Mark’s Basilica, the Gothic arches and marble façade of the Doges Palace, the Doges’ private apartments and the Bridge of Sighs. After a day’s sightseeing or shopping, glide through the canals on a gondola, the city’s most famous form of transport. Take a trip to any of these alluring spots or even extend your holiday to visit a few – you probably deserve it after all. Images by S J Pinkney, Britrob, amira_a, Adam Jones and John Fowler used under creative commons license.